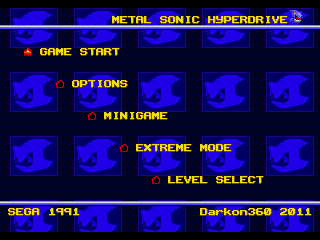 A full hack of Sonic the Hedgehog 1, with tons of features, brand new levels, playable characters, Sonic CD style gameplay (minus the extended camera), and more. 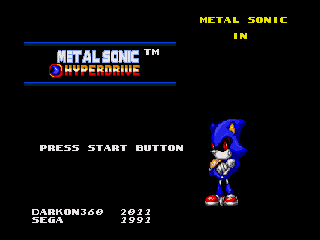 I created this Sonic the hedgehog hack back in October 31, 2011 (Halloween), everything has been changed and feels like a completely new game. 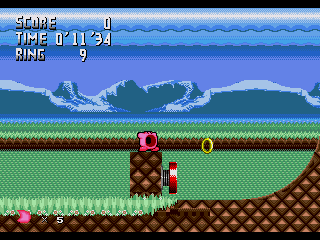 Note: Patch to clean Sonic 1 ROM (REV00, the one with no moving clouds) with “.bin” as the extension or else, it may not work. The patch is in XDelta format due to shifted data which resulted in a IPS patch with copyrighted data in it. For a later version of the hack see THIS link.